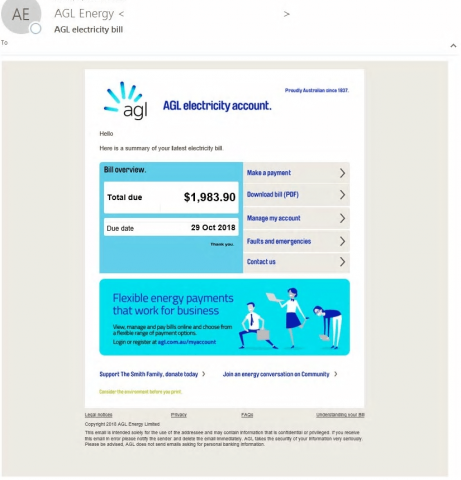 Energy provider AGL has warned of a hoax email in circulation with the subject ‘AGL electricity bill’. The email includes a bill for electricity with a due date. Anyone could receive this email, even if you are not an AGL customer. These types of emails are scams, also known as phishing, that try to trick you into paying money or clicking on a link that will download malicious software onto your device. They are common scams that often pretend to be from a large organisation you trust and can be sent via email, SMS, instant messaging or social media platforms. 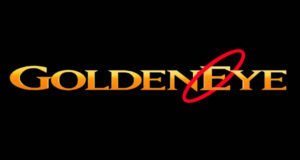 include the supply address and account number. Any emails that don’t include these details may be a hoax and should be deleted, without clicking on any links or attachments. Visit the Stay Smart Online website to find out what phishing is and how to spot it. If you are an AGL customer and have any questions about the AGL hoax email, you can call the AGL Help Desk on 131 AGL (131 245), option 3.